So excited to share that I have been offered the opportunity to interview Sam Fine while he’s out here in Lagos. For those of you that aren’t aware, Sam Fine has been in Lagos the past couple of days for the just concluded GTBank Fashion Weekend. MAC cosmetics is making this happen and I cannot tell you guys how giddy I am! The interview will happen tomorrow afternoon (15th November), and I wanted to let you guys be a part of this by telling me what questions you would like me to ask him. This is your chance to get your questions answered by an ACTUAL Legend that knows what he’s talking about. He has worked with some of the biggest superstars from Queen Latifah, Kerry Washington to Jennifer Hudson and supermodels Tyra Banks, Iman and Naomi Campbell. He knows that the key to make up goes beyond painting a pretty face! There’s nothing like a ‘stupid question’, so please don’t be shy! Leave your questions for me on Instagram, and I will select the best ones! For those of you that have absolutely no idea who Sam Fine is… I forgive you, but please read the bio below so you won’t have to say that EVER again. Long before he became a celebrity makeup artist, the Chicago native paid his dues working behind the makeup counter of department stores, an experience he fondly refers to as “the real school of beauty”. There he came in contact with women from all walks of life that wanted one thing – to look their absolute best. He made it his mission to show them how to accentuate their unique beauty by using colors and shades that would best complement their complexions. But most importantly he helped them eliminate their doubts and apprehension about applying makeup so they too could achieve dazzling results. Fine’s talent and determination has taken him far from the makeup counter, making him one of today’s most sought after makeup artists. 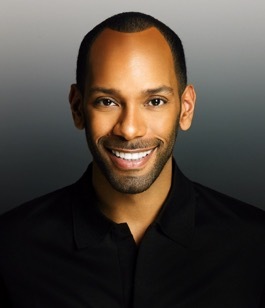 His work has appeared on the covers and pages of Vogue, Cosmopolitan, Harper’s Bazaar, Essence, and Marie Claire and was chosen as the first African – American spokesperson for cosmetic giants, Revlon and Covergirl Cosmetics. But it was the experiences from his formative years selling makeup that inspired him to write his first book, Fine Beauty: Beauty Basics and Beyond for African – American women, a how-to guide that highlights his many accomplishments. That is so wonderful, please ask him how those of us who live in humid/tropical climates can get our foundation to look as natural as possible without that cakey or visible foundation look.